There’s more to Busan than trains and beaches, and yeah, zombies. This city located in the southern part of South Korea has recently sparked the interest of the tourists because of the famous movie “Train to Busan”. While it is disappointing to think that zombies on the trains bound to Busan do not exist, it is still worth visiting because it offers a lot of interesting places and tourist spots, and one of these is the Gamcheon Cultural Village. 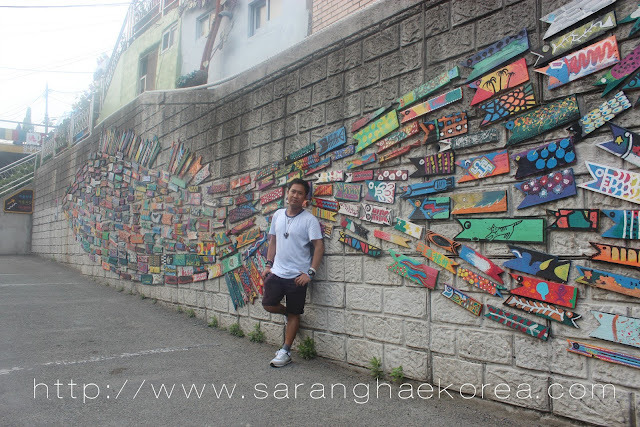 I must say that Gamcheon is an art village. It has the same ambiance and feels as in the Ihwa Mural Village in Seoul and the Changdong Art Village in the nearby city called Masan. However, Gamcheon Cultural Village has its own character and definitely, a unique story. They called it a Lego City, because from the distance, it really looks like colorful block of legos connected to form a magnificent view. I think the best view of the city is at the entrance near the bus stop of Gamcheon. Although I could honestly stay at the area for the whole day to save myself from the scorching heat of the sun and to give my legs some rest, I just thought my experience would never be complete without going through the alleys of the village. 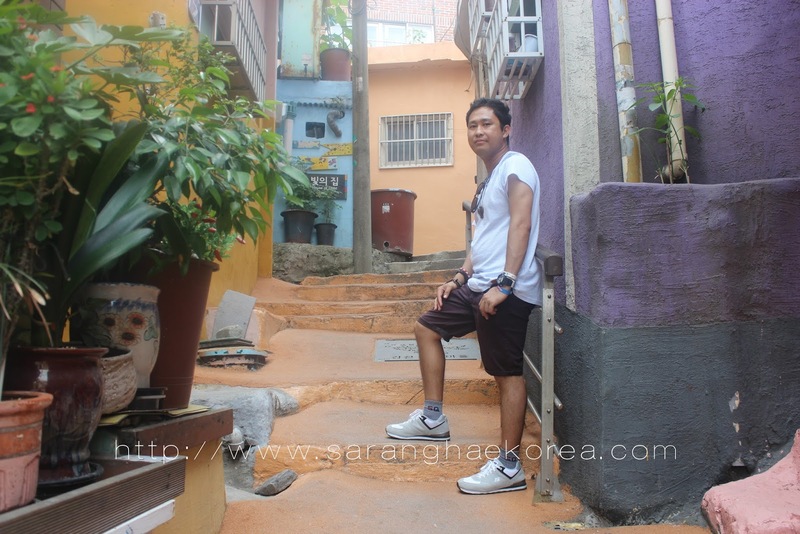 Who would have thought that Gamcheon was used to be a slum area. The city government of Busan has found a way to convert those shanties and dilapidated alleys into something interesting and touristy. If you know the history of Gamcheon, you would understand how it became so depressing after very long years. This village was actually used by the soldiers as shelter during the war. As it gets older and older, the society has completely abandoned the village and it turned out to be slum area. There are still people who wouldn’t want to let go of the village. Although the population has decreased, there are still remaining residences in the area. The best way to make the village still useful and conducive for living is to renovate it. However, it has deep culture and history that the government still wants to preserve its cultural aspect. They made no changes of the village except for improving the alleys, the walls and painting the houses in an artsy way. Artists and painters have joint forces to make an art-themed transformation over the dilapidated village. Today, if you go to Gamcheon Village, you will notice the steep stairs, the long and winding alleys and the touch of art which is present in every corner of the village. From the stairways, to the walls and even the fences and roofs, you’ll see art everywhere. Instagrammers, Art Lovers and artists would definitely enjoy the walk at this village despite of its challenging route. Due to the number of tourists flock to the area, some parts of the village have been commercialized. There are cafes, boutiques, souvenir shops and even restaurants in the area. 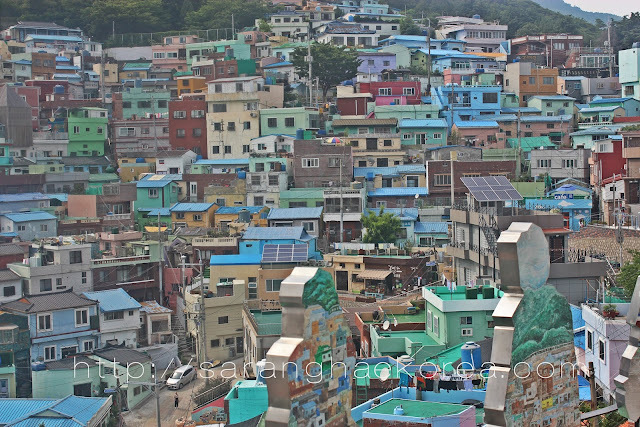 Some people say that Gamcheon is the Santorini of South Korea. 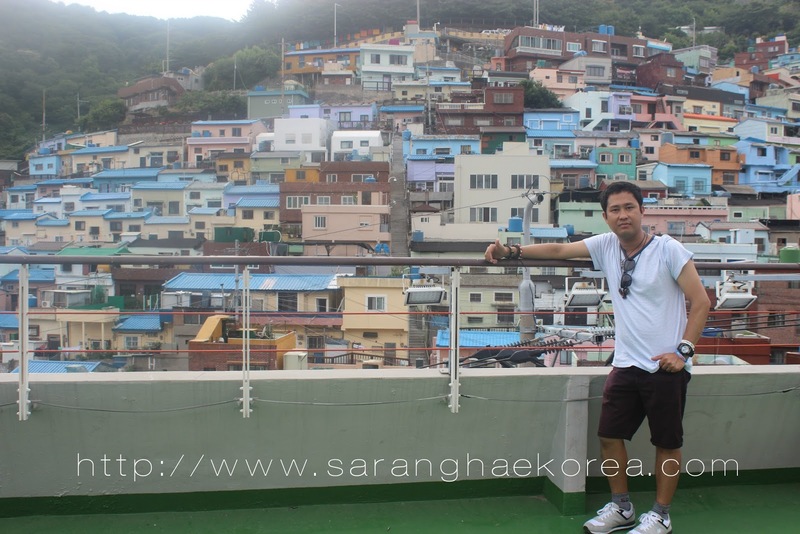 Although I am not sure how Santorini looks like in the actual as I have never been there before, I believe that Gamcheon could be considered as a world class tourist spot because it takes a lot of effort to transform a dying village into something colorful and vibrant as what it is now. 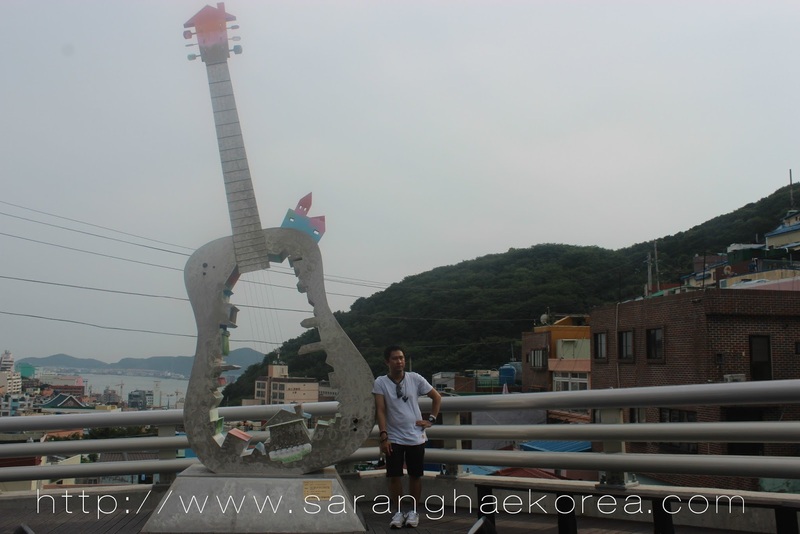 Next time you go to Busan, please include Gamcheon Village in your itinerary. It is not difficult to go there. You just need to take a train and get off at Toseon Station which is in Line 1 of Busan Metro. Go to Exit 6, then walk towards Cancer Center Hospital. From there, take Bus number 2 or 2-2 and get off at Gamcheon Cultural Village.